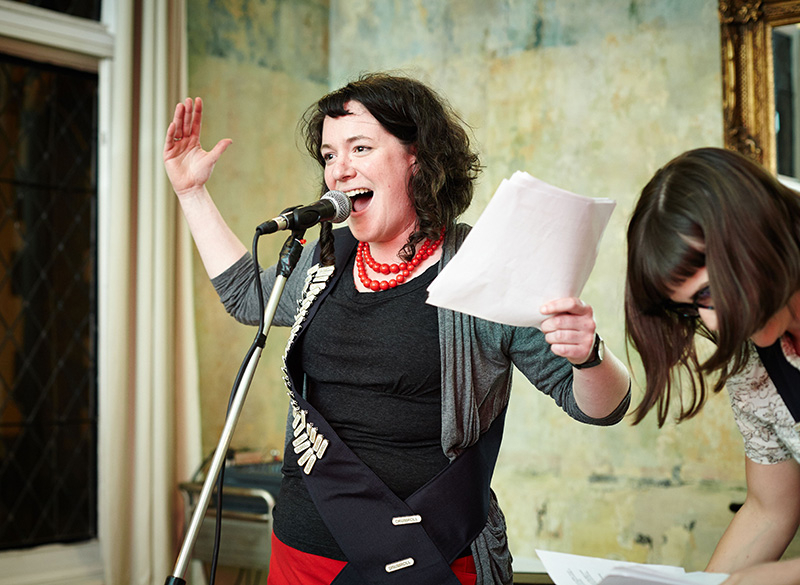 A year and a half on from when Rachel Dobbs published her ACE funding cheatsheet, the artist and mentor has put out a revised version, hot on the heels of this month's launch of Arts Council England's new Project Grants scheme. 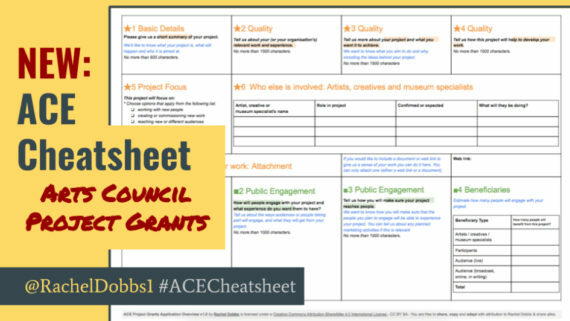 Artist and educator Rachel Dobbs has revised and republished her cheatsheet for applying for Arts Council England funding to bring it in line with ACE’s latest funding scheme, Arts Council National Lottery Project Grants, which replaced Grants for the Arts from 5 March 2018. Artists will continue to be eligible for project funding from the Project Grants stream if their project engages a public or is intended for an audience. A new dedicated fund to support artists’ development, called Developing Your Creative Practice, will open on 12 April. Dobbs, who is one half of the artist duo LOW PROFILE, first created an arts funding cheatsheet in 2016 in order to better address the needs of neurodiverse artists. 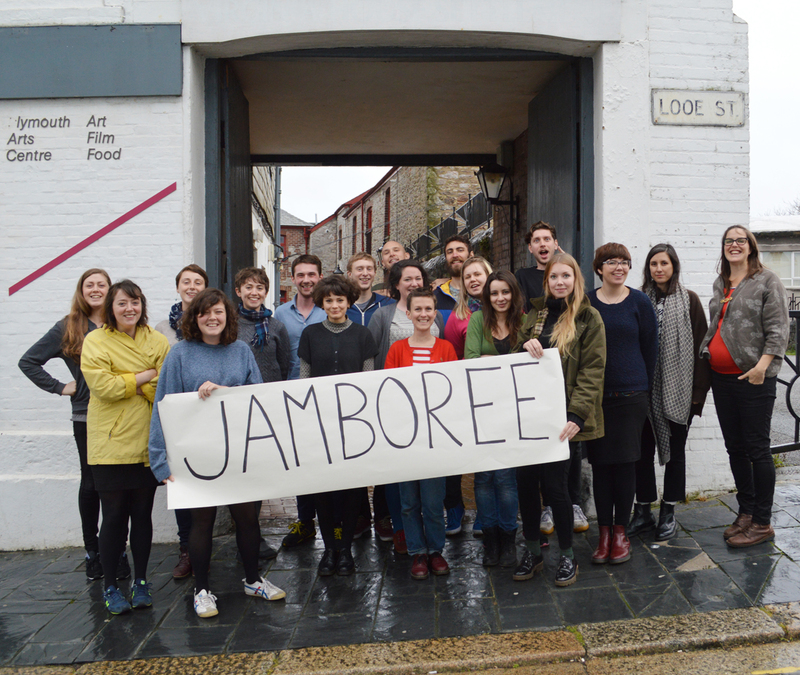 At the time she was mentoring the artists through the Grants for the Arts application process as part of an ad-hoc freelance role with Arts Council England. She sees the ACE Cheatsheet as a DIY approach to addressing access needs that were limited through the application portal Grantium‘s lack of user-centred design. The cheatsheet is colour-coded and visually breaks down the information in a non-linear way. When the original cheatsheet was published in August 2016 under a Creative Commons copyright licence, it met with overwhelming praise from the visual arts community and went viral on social media. 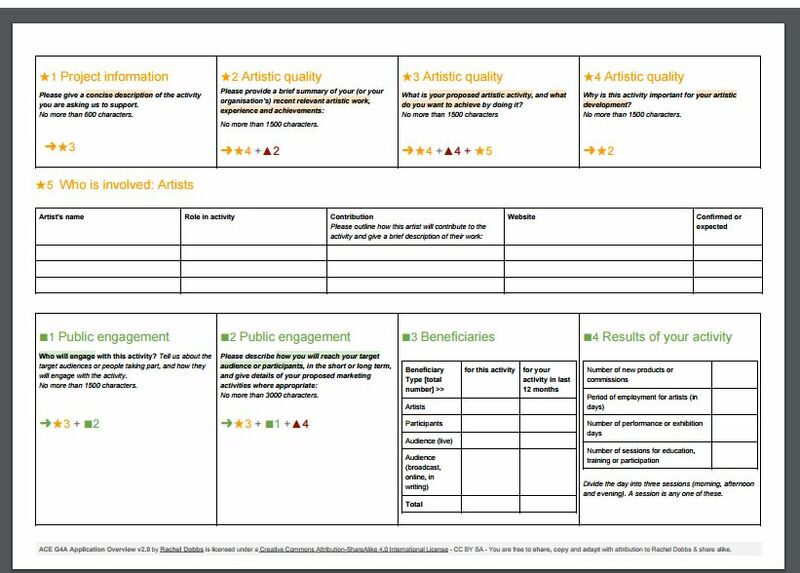 The new guidance published by Arts Council England for the Project Grants has itself become more interactive. It includes three steps to take before beginning an application, including a quiz to help applicants think about whether their project is ready or eligible for ACE funding, and pinpoints information, advice and guidance that they may need.